On Sunday and Monday, we brought you Scent From Subscription Boxes from New York and The Alps. For February we’re bringing straight from IWOOT the destination which is the capital of Love. And of course the perfect choice for all the lovers this month….Paris. Think rich pinks and reds this month. If you’ve not already fallen in love with the Scent From collection then this month will make sure of it. As you close your eyes opening the large signature scent tin with the location coordinates upon the label. You’re instantly transported to standing with your lover staring up at the Eiffel Tower. As the scent of freshly made chocolat truffles waves on by. And the cork of a vintage bottle of the finest Champagne pops in your ear. Think rose petals as the scent of the jar candle from this month’s collection seduces you to light the wick. Watch the flicker of the flame dancing the Moulin Rouge. The signature tin candle this month smells sweet and delicate. The White Truffle & Cognac limited edition candle has a burn time of 40 hours. This soy wax candle burns slowly and fragrantly, this soft scent is different to other month’s scent is more feminine and gentle. It’s accompanied by a small pink vintage-inspired miniature glass jar candle in rose velvet. This hand-poured natural soy wax candle is completed with a twine tie and vintage wooden heart charm. The delicate smell from the miniature is perfect for creating a calm and relaxing ambience in any room. The vintage-style fits both modern and of course vintage-inspired decor and is a fantastic addition to any room. The Scent From Paris bespoke print mug is illustrated with this month’s Scent From design in the colour of choice, Valentine’s Pink. With the Parisian skyline in a solid continuous line. It is the perfect gift to give the one you love this February. 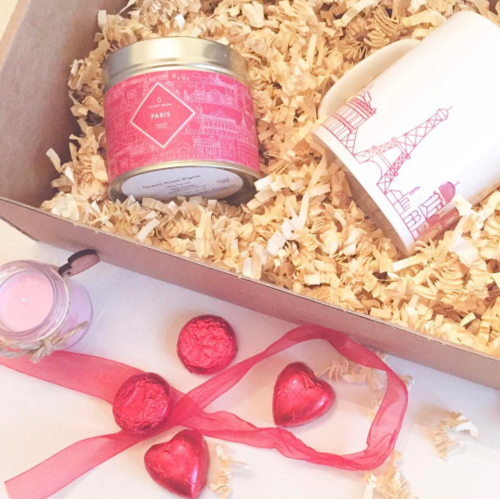 Of course, you could become truly the best gift giver this month and accompany this amazing loved up box with a trip to the actual city of love itself Paris….just an idea? Finally, the month of Valentine isn’t complete without heart-shaped chocolates of course. These heart truffles in strawberry and raspberry are there to enjoy as the wax of the candles starts to melt. Enjoy your devilishly divine individually wrapped chocolates with the one you love….yourself! 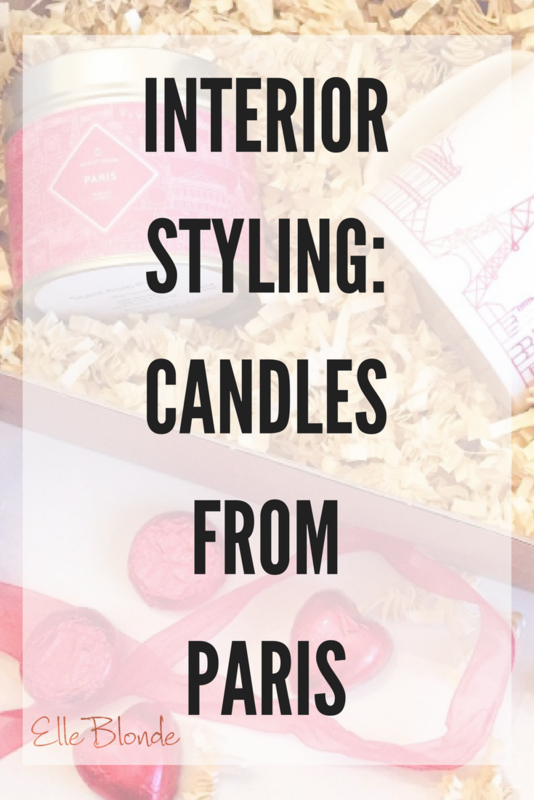 If you’re already subscribed to the Scent From Subscription Box then you’ll already have some fabulous stamps on your candle passport from Marrakech to the Alps, Stockholm to New York and now Paris. Wonder where we’re heading next? If you want to know where we’re heading next why not grab yourself a £5 discount with the code ELLE5 and shop the one month, three months, six months or twelve-month subscription box from IWOOT here. Pin me for later ? Disclaimer: This item was provided complimentary, all views are my own. Read more about disclosure here. Next articleKate Spade: Have you heard about her…?